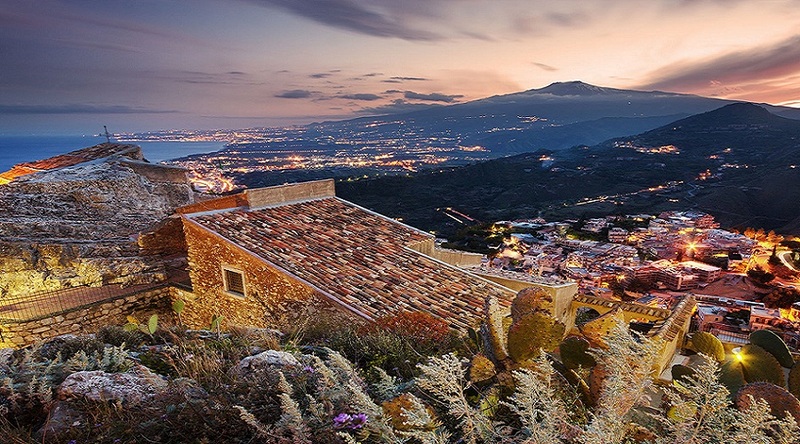 Etna & Taormina tour combines two top-touristic destinations in one and goes on for a whole day. We will start by taking you to Europe’s largest active volcano, Mount Etna, driving up to an altitude of 2000 mt above mean sea level, where you will have the chance to visit the Silvestri craters, make a quick stop at the “Rifugio Sapienza”, or go hiking in the vast open space surrounding the craters. We will then proceed to Taormina, emblem of the tourism in Sicily, located only one-hour drive East of Mount Etna. Some of the city’s places of interest are the Greco-Roman Theatre, the public botanical gardens and the town’s narrow and romantic streets surrounded by its historical buildings. Piazza IX Aprile, the city’s main square, and its terrace with the breathtaking view of the Ionian coast and Mount Etna is a real tourist magnet. Worth mentioning is also the Duomo, which combines medieval and more recent features, and the cathedral of Saint Nicola. 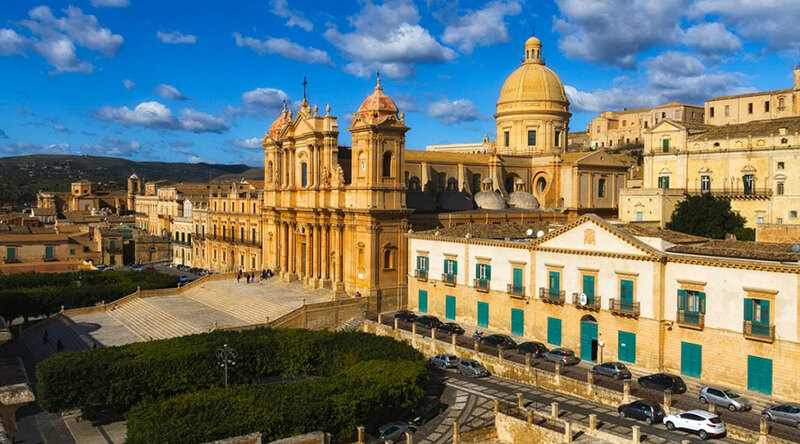 This tour will take you through some of the most important Architectural works and Natural heritage of Sicily, in just one day. For more details contact us at: info@goingsicily.com, or call/whatsapp +39 340 672 82 65. Discover one of the most unique cities in Sicily, Syracuse: A place where the Greek, Roman, Saracen and Spanish culture coexist in a stunning mix of architectural and historic heritage. Its historica historical centre, an island called Ortigia, is probably the most notorious part of the city which, together with the “Duomo”, the city’s main square, attract visitors from all over the world; the square itself is well known for being the set of the movie "Malena", starring actress Monica Bellucci. The tour will then take you to Noto, another characteristic place that Sicilians are very proud of. The city is known for its baroque style and the Bourbon domain, which can be still appreciated in the architectural style of its buildings. The flower festival called "Infiorata" is also very worth visiting and it takes place every year over the third weekend of May. During the festival, hundreds of flower artists challenge themselves in creating decorative floral carpets using the petals from different varieties of flowers. The festival also includes other activities, such as parades and sideshows, which add to the general carnival atmosphere and tradition. For more details contact us at: info@goingsicily.com, or call/whatsapp +39 340 672 82 65. 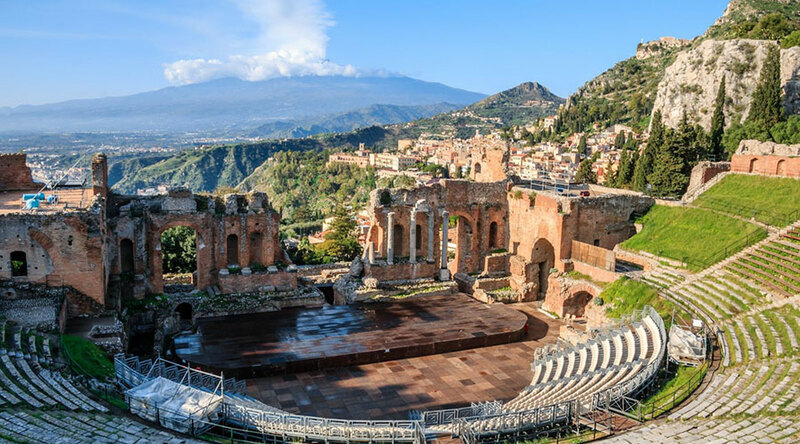 Taormina & Castelmola tour will start by visiting the stunning city of Taormina and its main points of interest such as the Greco-Roman Theatre, the public botanical gardens and the town’s narrow and romantic streets surrounded by historical buildings. A walk along the “corso” will take you to Piazza IX Aprile, the city’s main square, which opens to a terrace with a breathtaking view of the Ionian coast and Mount Etna. Worth mentioning is also the Duomo, which combines medieval and more recent features, and the cathedral of Saint Nicola. We will then proceed to Castelmola, famous for its spectacular view, which can be enlivened by a delicious glass of the local almond wine accompanied by traditional specialties of the Sicilian cuisine. For more details contact us at: info@goingsicily.com, or call/whatsapp +39 340 672 82 65. 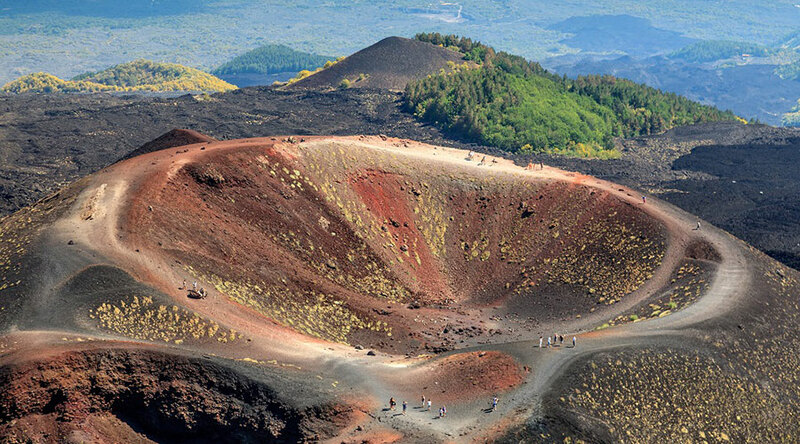 We will start by taking you to Europe’s largest active volcano, Mount Etna, driving up to an altitude of 2000 mt above mean sea level, where you will have the chance to visit the Silvestri craters, make a quick stop at the “Rifugio Sapienza”, or go hiking in the vast open space surrounding the craters. 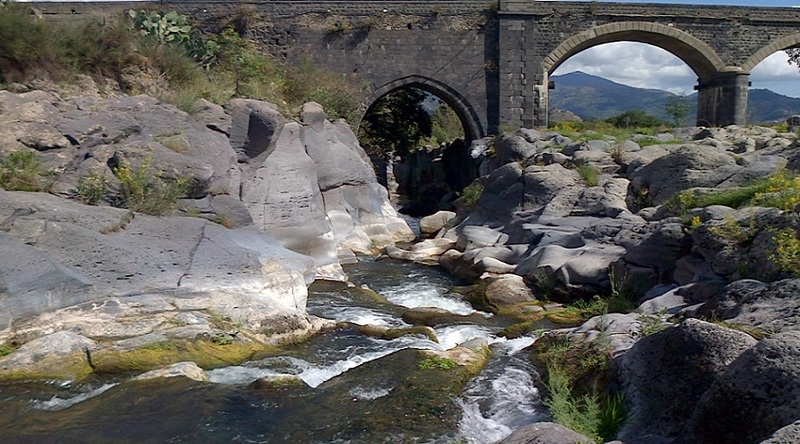 The tour will then take you to Alcantara River and the stunning natural landscape offered by its gorges, created following the eruption of a Volcano north of Mount Etna and then shaped by the winds and the flow of water throughout the centuries. Here, you will be guided through this beautiful example of geological and natural heritage, and you will have the chance to relax and enjoy the sound of mother’s nature, forgetting about the every-day life’s stress and rush. For more details contact us at: info@goingsicily.com, or call/whatsapp +39 340 672 82 65. Explore Europe’s largest active volcano with our half-day tour. We will take you up to 2000 mt above mean sea level, the highest you can get by car, where you will have the chance to admire the Silvestri Craters, originated after an eruption in 1892 and named after volcanologist Orazio Silvestri who discovered them; the craters have been inactive for many years now, so visitors can climb them, walk right down to their floor, and be completely safe. Around the area there is plenty of open space, which makes it ideal for people who like hiking or, if you are a photography lover, you can just climb the craters, enjoy the view and let the camera do the rest. If you would rather relax and have something to eat, you also have the option of visiting “Rifugio Sapienza”, the local mountain shelter, which comprises of hotel, café and restaurant so you will have ample choice depending on what you fancy. If then you are more an adventurous-type of person, and want to spend a bit of extra time, you can easily catch the cable car and climb to an altitude of 2500 mt from where, if you want to push yourself even further, you can be transported on a special coach designed for volcanic pavements (or a snowcat during the snowy season) up to 2920 mt, very close to the mountain’s summit. Another popular attraction is also the visit of a lava cave with helmets and torches, located not far from the Rifugio Sapienza. For more details contact us at: info@goingsicily.com, or call/whatsapp +39 340 672 82 65. Taormina is probably the emblem of the tourism in Sicily and its Mediterranean climate makes it a popular destination among tourists who pack the city’s tiny streets 365 days a year. Strategically placed near Mount Etna, Syracuse, Enna and Catania (other must to visit places), Taormina is famous for the Greco-Roman Theatre, the public botanical gardens with their great variety of flowers and plants, and the town’s narrow and romantic streets surrounded by historical buildings from all ages and time. Walking along the main “corso” you will reach Piazza IX Aprile, the city’s main square, which opens onto a terrace with a breathtaking view of the Ionian coast and Mount Etna; the Piazza is also full of restaurants and cafes so you can relax whilst having a glass of vino, a nice meal, or a gelato. Another point of interest is the Duomo, which combines medieval and more recent features, and the cathedral of Saint Nicola. 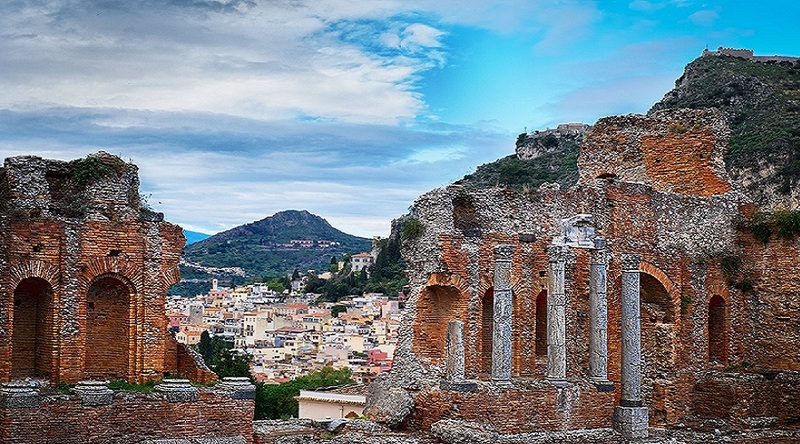 Strolling through the streets of Taormina admiring its history, architecture and pretty views, gives a great sense of appeal: it seems that this old town talks to its visitors, who inevitably fall in love with its unprecedented beauty. For more details contact us at: info@goingsicily.com, or call/whatsapp +39 340 672 82 65. At Palermo, two opposite worlds converge and explode, the Oriental and Occidental cultures merge in this Capital dominated by Arabs and Normans, two populations in deep contrast. 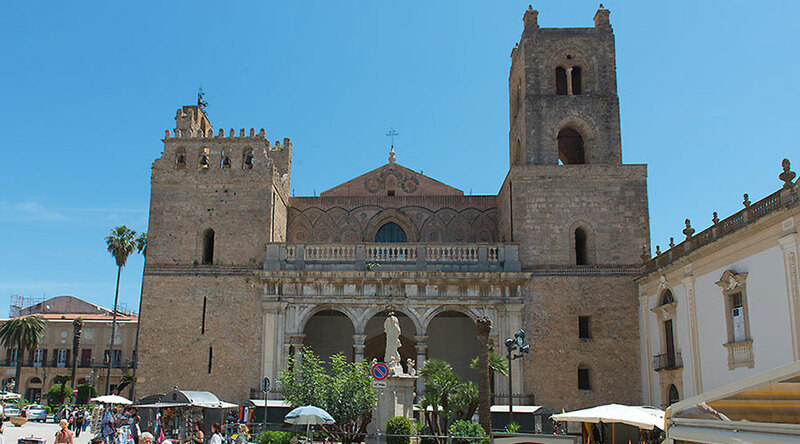 We will make you feel the absolute protagonist of this adventurous journey through the beauties of the Capital of Sicily, which we have made even more interesting by adding a visit to the City of Monreale, famous for its enviable location, that overlooks Palermo. Inside the Cathedral, it is possible to admire marvellous and astonishing mosaics, realised by the Byzantines and representing scenes from the New Testament. This is a full day tour, for more details contact us at: info@goingsicily.com, or call/whatsapp +39 340 672 82 65. Agrigento, originally called “Akragas”, was founded in 580 B.C. from the Greeks, who governed the city for 370 years. Greek poet Pindaro defined Akragas “the most beautiful city amongst mortals”. 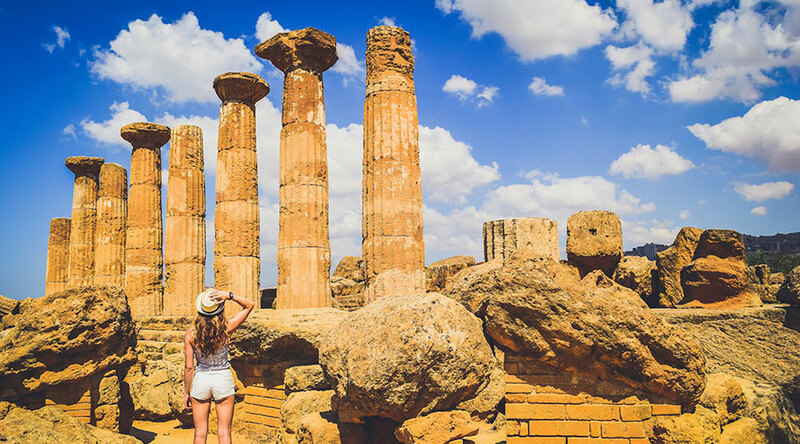 We will take you through the most extraordinary complex of Greek temples of Europe: La Valle dei Templi (The Valley of the Temples), which includes the Temples of: Heracles, Zeus, Hera, Concordia, Dioscuri etc. After a quick break for a snack, we will proceed to “La Villa Romana” at Piazza Armerina, famous for its mosaic tile paved rooms, and for the Roman architectural style. This is a full day tour, for more details contact us at: info@goingsicily.com, or call/whatsapp +39 340 672 82 65.